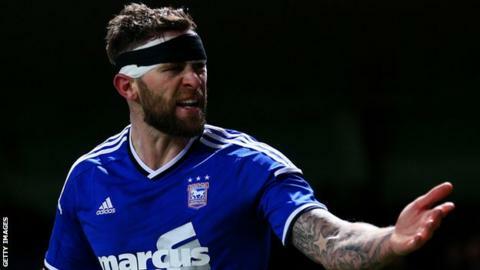 Ipswich Town striker Daryl Murphy has said he hopes he has silenced those who doubted his goalscoring ability. The 31-year-old has 19 goals this season, six more than his previous best tally. "I hope I've proved people wrong. I don't mind a bit of negative talk, I don't really listen to it," he told BBC Radio Suffolk. "I always knew I could score goals if given the chance and I was playing as a striker." He added: "I knew it was in there but it's in the last few years that it's shown." Murphy has often been used as a wide forward during his career, something which he believes has restricted his ability to score. The Republic of Ireland international was brought to England to play for Sunderland in 2005 by his current Town boss Mick McCarthy. He has scored 32 goals in the last two seasons - over half of the 63 throughout his entire English career - and his finishing prowess may have something to do with his admiration for the former Brazil striker Ronaldo. "I used to love the fat Ronaldo. I absolutely loved him - his skill, pace, finishing," said Murphy when asked about his inspirations. "I used to try and copy him in the street. But as you grow up you see other types of strikers - like Ruud van Nistelrooy who was an absolute poacher. Thierry Henry is another. "But the main one I watched was the fat Ronaldo."